New survey shows support growing to legalize marijuana in Hawaii, Jan 31, 2014, by Ben Gutierrez, Hawaii News Now In one part of the survey, 66 percent of 400 Hawaii voters polled supported legalizing the use of marijuana for adults and collecting taxes from pot sales. That's up from 57 percent in 2012. Just 37 percent favored legalization in 2005. The poll also said 77 percent believe jail time is inappropriate for marijuana possession, up eight percentage points from 2012. T he poll also found that a big majority -- 85 percent -- supported a dispensary system for medical marijuana. CROSSROADS - Free Brian Murphy, Jan. 20th 2015, from Akaku Maui Community Media, Hawaii's medical marijuana program, and the unjust incarceration of Maui's well-known medical marijuana advocate Brian Murphy, were the topics of the CROSSROADS show, which was broadcast live on AKAKU, on January 20, 2015. The show's host Lucienne de Naie welcomed guests Dr. Joseph Lenz, Psychologist, PhD, and Mary Whispering Wind, volunteer representative for Patients Without Time, who is filling in for Director Brian Murphy while he is in jail. Call for release of PWT Director Murphy from jail! Maui Daily Show - Free Brian Murphy, Feb. 12th 2015, from Akaku Maui Community Media, Members of JUSTICE FOR BRIAN MURPHY, Mary Whispering Wind, Sam Small and Richard Krist discuss all the details about the latest on the Brian Murphy - medical marijuana case. Call for release of PWT Director Murphy from jail! 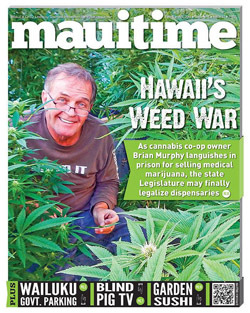 MAUI TIME, HAWAII's WEED WAR, 2/26/15, BY ANTHONY PIGNATARO, cover design: Darris Hurst. To say that Murphy has a lot of supporters is an understatement. In fact, there are currently 8,000 signatures on a petition asking Hawaii Governor David Ige to commute Murphy's sentence. Judge Cardoza rejected his recent motion to do the balance of his prison sentence at home with electronic monitoring equipment. "The rationale was based on health concerns for Mr. Murphy," Dunn said. FREE BRIAN supporters at EARTH DAY 2015, JUSTICE FOR BRIAN MURPHY and FREE BRIAN supporters gathered signatures to support Brian Murphy, Director of Patients Without Time, and to raise awareness of Hawaii's unjust marijuana laws, at the EARTH DAY FEST, on Sunday, April 19, 2015 at the Keopuolani Park Amphitheater. Over 8,000 signatures gathered so far. Petition to Hawaii GOVERNOR PLEASE COMMUTE Brian Murphy's Prison Sentence, presented by Justice For Brian Murphy. It is a travesty of justice that Brian Murphy, a disabled veteran with serious medical issues stemming from his service, has been sentenced to a year in jail for the same activities for which the 2009 State House of Representatives congratulated PWT. To this day, there is still no procedure in Hawai'i for registered patients to legally acquire their medical marijuana. Victory! This petition made change with (over) 11,010 supporters! Petition delivered to Hawaii's governor, and Maui Circuit Court. Cannabis co-op owner Brian Murphy freed from prison, MAUI TIME, MAY 8, 2015, BY ANTHONY PIGNATARO. After five months in prison, Patients Without Time cannabis co-op founder Brian Murphy has been freed, according to Wailuku attorney Chris Dunn. According to Dunn, Judge Joseph Cardoza released Murphy on Thursday, May 7 in response to Dunn's second motion to modify the terms and conditions of Murphy's probation. Cardoza also suspended the remaining seven or so months of Murphy's year-long sentence for selling marijuana. 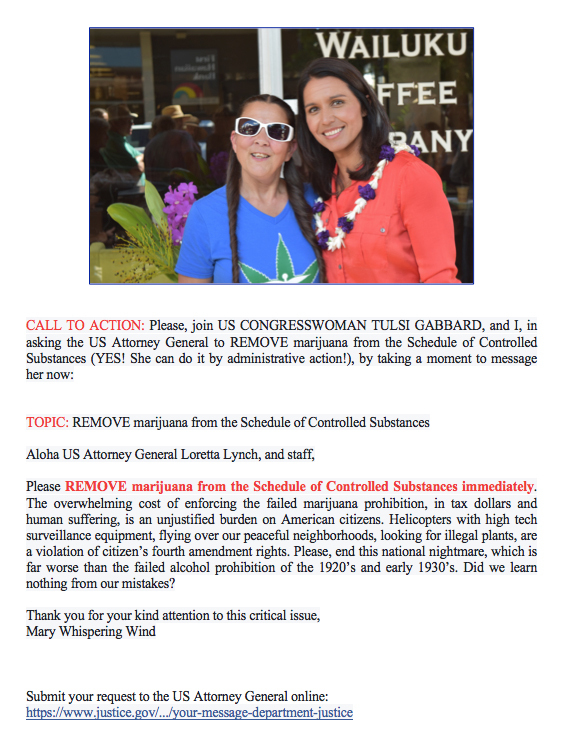 ... on the same day Judge Cardoza released Murphy the state Legislature passed HB 321, CD 1, which finally legalizes eight medical marijuana dispensary licenses for Hawaii. CROSSROADS - with Brian Murphy, July. 7th 2015, from Akaku Maui Community Media, Director Murphy talks about his incarceration and Hawai'i's marijuana laws on the Crossroads show with Lucienne De Naie. 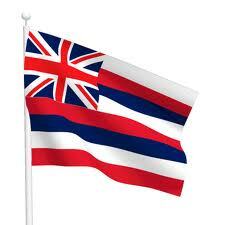 Founded in Maui, Hawaii in 2004. Contact us with any medical marijuana questions. The STATE OF HAWAII issued a certificate to PATIENTS WITHOUT TIME thanking us "for assisting over a thousand of Hawai'i's certified medical marijuana patients with the acquisition of their medical marijuana."